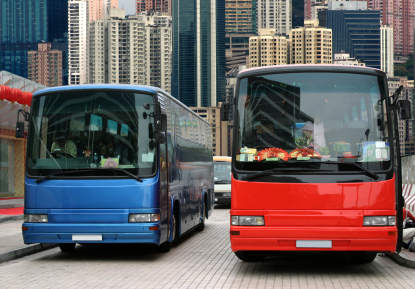 Both paratransit and transit vehicles brake systems undergo a great deal of stress. The multiple stops combined with the weight of the vehicle places a great deal of stress on the brake systems. The result of all this stress is premature brake wear. With Power Brake’s Diamond equipping your brake rotors and drums are guaranteed for 100,000 miles. We believe so strongly in our product, that we are offering you a risk free test. Diamond Technology enhance one of your paratransit vehicles and compare the brake wear to another vehicle, and you will know that Diamond Technology is the real thing. 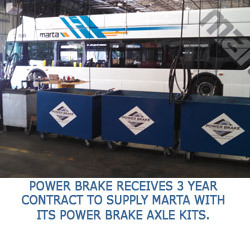 Power Brake is backed by over 70 years of combined experience in the brake industry. We’ve spent our careers witnessing the costly, redundant brake repairs that fleet vehicles undergo multiple times every year. We believe that brake components are meant to fail; they are a result of planned obsolescence in the automobile industry. Brake components are not built to last in order to enhance future profits. Our Diamond Technology picks up where the manufacturers left off. The result is not only drastically reduced fleet maintenance costs, but also improved performance and safety.